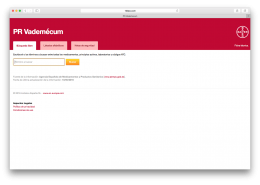 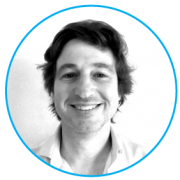 PR Vademecum is a web service allowing users to consult all information related to drugs, substances and active ingredients. 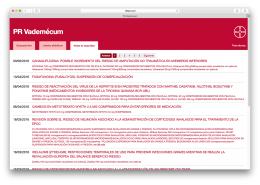 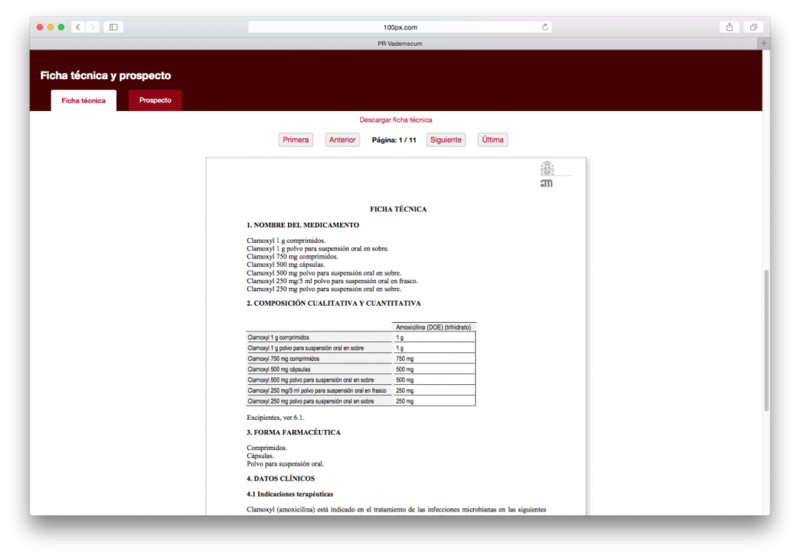 PR Vademecum Spain (PR Vademécum España) is a web service allowing medical professionals to look up drug information aimed at helping to improve patient safety, pursuing compliance requirements and elevating the quality of patient care. 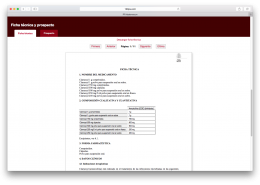 The service is specially designed to be easily integrated into medical portals on websites of pharmaceutical companies. The information sources of the PR Vademecum service are: AEMPS (Spanish Agency of Medicines and Medical Devices) and WHO (World Health Organization). 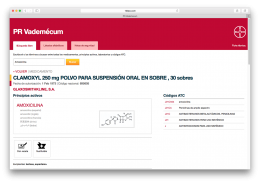 PR Vademecum therefore provides up-to-date and reliable information about any drug marketed in Spain. 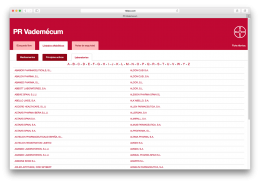 The information is updated on a daily basis. 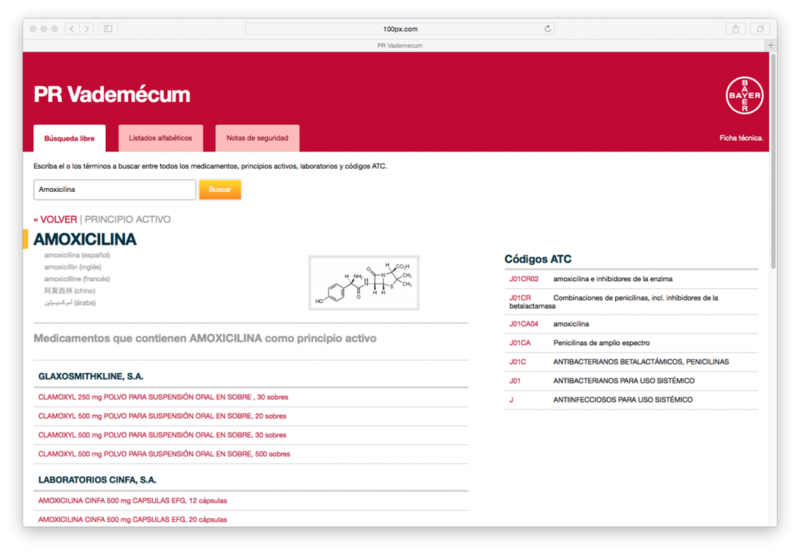 The browser on the site’s home page allows users to perform an integrated search so that a single search displays the name of a drug, its active ingredient, the companies that market it and the ATC code. 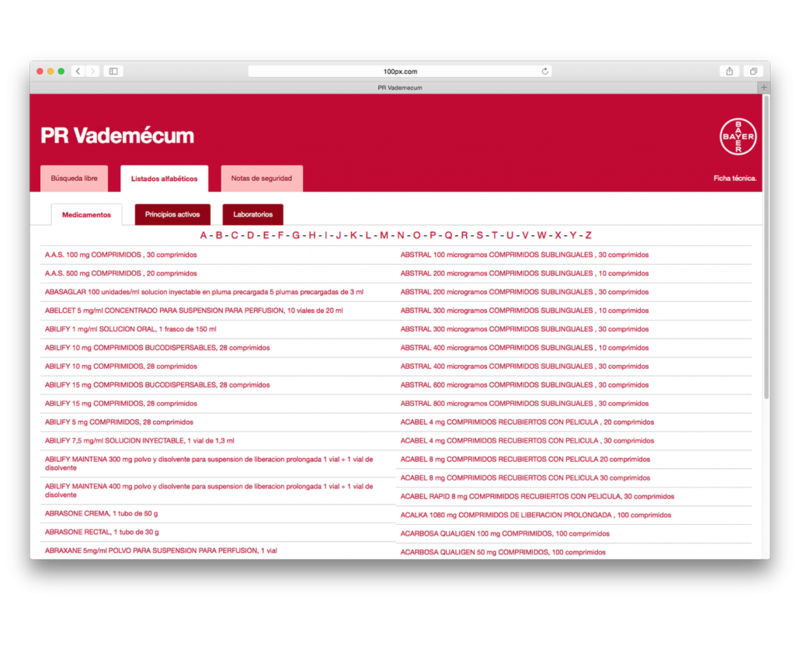 Thanks to its search engine with predictive text input and auto-correction of entries, PR Vademecum allows users to find the desired information quickly and easily. The ATC codes that appear for any medicinal product/active ingredient are navigable and quickly provide access to drugs based on their classification. 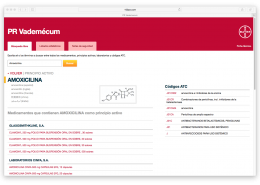 For each active ingredient, the site provides its name in various languages, its chemical formula, relevant ATC codes and a list of all available drugs (trade names) containing that active ingredient, sorted by manufacturer and pharmaceutical form. 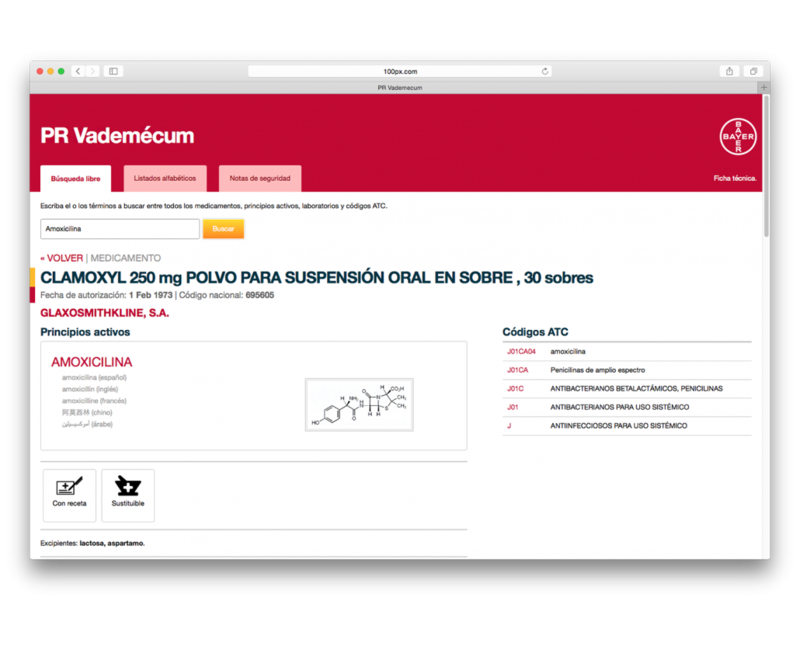 The user can also find a substance using alphabetical listings of drugs, active ingredients and pharmaceutical companies. 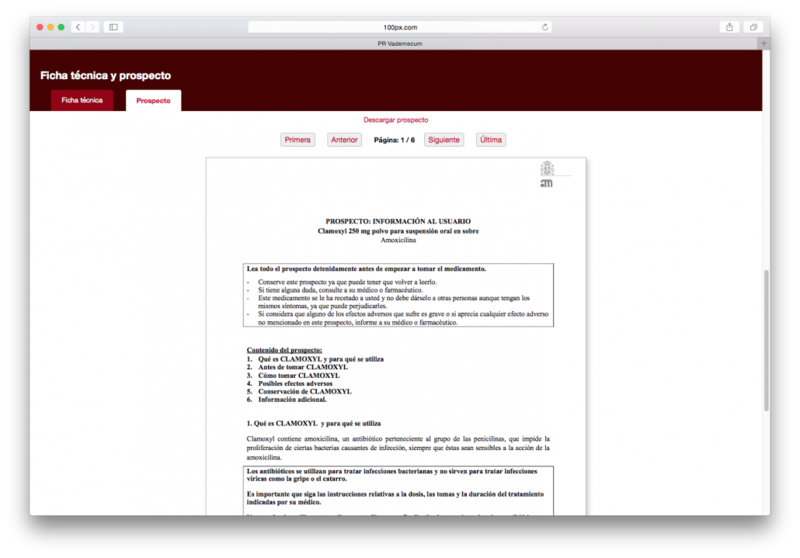 A specific tab links to safety notes issued regularly by the AEMPS. 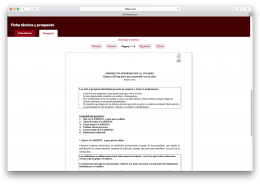 Both the SPC and the package leaflet can be viewed on the same site; these are also available for download in PDF format. DESCRIPTION: This PR Vademecum is incorporated to a survey for Pharmaceuticals. 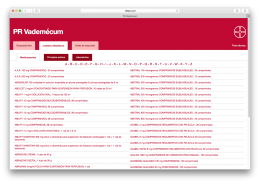 With this connection, the PR Vademecum was an incentive to increase the percentage of responses in the survey.